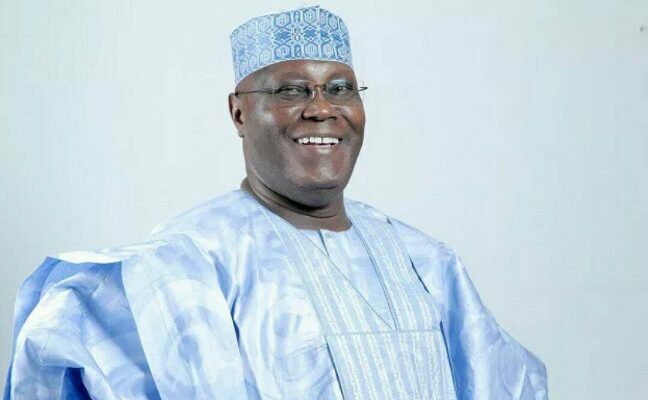 The Atiku Abubakar Support Group has called on supporters of the Peoples Democratic Party (PDP) presidential candidate nationwide to be vigilant ahead of the 2019 presidential election. The National Coordinator of group, Dr. Nath Iduma challenged members to ensure that Atiku wins convincingly in all polling units, saying that the ruling party would rig the election at any slightest opportunity. This is coming on the heels of similar call by the National Youth Leader of the PDP, Mr. Udeh Okoye, who charged the support groups to dominate the Social Media and counter the All Progressives Congress (APC) propaganda against Atiku. The duo made the call on Thursday in Abuja during an interactive session by a coalition of support groups with the theme: Turning the popularity of Atiku/Obi into Electoral Success. While addressing the coalition, Iduma explained that Atiku Abubakar and his running mate, Mr. Peter Obi are successful businessmen and intend to govern the country with businesslike approach. He stated that Nigeria will succeed when governance is run like business. Iduma said, “Atiku and Obi came together by providence and they are tested persons. I believe that if we have people that can run government as they run business, then that government is going to succeed. “In Yola, Atiku has several investments and when both of them come together, the problem of unemployment will be handled. Both of them who are business minded people will run businesslike government. Unless we win this election with massive votes, it is likely they are going to rig us out”. The coordinator of the group challenged PDP and its presidential candidate to invest massively in the youth, even as he reminded the coalition that Atiku pledged to allocate 40% of positions to the youths, urging them to work hard and grab the opportunity. “It is high time that the party and candidates invested in the youths. They are the ones to go down into every part of the country to canvass for votes and protect our votes,” he said. Adding his voice, the National Youth leader of the PDP, Ude-Okoye urged the youths to occupy the social media space, confront the propaganda narratives of the APC and highlight the values of the PDP presidential candidate. Ude-Okoye said, “We have to divide ourselves into two and confront the attackers and the promoters. One group must be attacking the APC, telling how the APC has destroyed the country while the second group will be promoting the achievements of Atiku and Obi. “Our product, Atiku, is a good market, so we have to sell him to Nigerians. Larger number of voters are not in the social media but their influencers are in the social media. We should influence our people who have registered to get their PVCs. “We also need to influence voters who are in the villages to get Android phones so that they can join the discuss. Atiku is an employer but we have a President who have a stunted business, it does not grow, it does not reduce. “A president who has failed to protect the lives and properties of his people has failed”. Also speaking at the event, the chairman of the Atiku Care Foundation, Ambassador Aliyu Abbas, said that with Atiku, citizens cannot continue to suffer hunger and starvation. “Atiku Abubakar is not only a politician but an international businessman, an educationist, a farmer and a philanthropist”. Also, the National Convener of of the coalition of Atiku the four largest support groups, Ike Bishop Okoronkwo said that the groups have mobilised over 10 million youths across the country for Atiku. He added that before the 2019 general elections, the groups will mobilise about 20 million voters across the 774 local governments for the PDP presidential candidate.